Aside from their stunning beauty, Monarch butterflies (Danaus plexippus) are known world-wide for their impressive migration across North America. Beginning in the fall, millions of monarchs make the incredible journey (up to 3,000 miles) to over-winter in the southern region of California and Mexico's central highlands. A small non-migratory population also overwinters in southern Florida. The future of this magnificent natural phenomena is under increasing threats due to global climate change, habitat loss and degradation, disease, and pesticide use. Monarchs rely on milkweed (Asclepias spp) plants to lay their eggs on and as the sole food source for Monarch caterpillars. A number of habitat protection initiatives are underway, within migration corridors, to assure the future of this species. Because urban development is the leading cause of habitat loss (~6,000 acres/day), conservation education programs inform the public of the value of planting (pesticide free) milkweed and other native nectar plants. 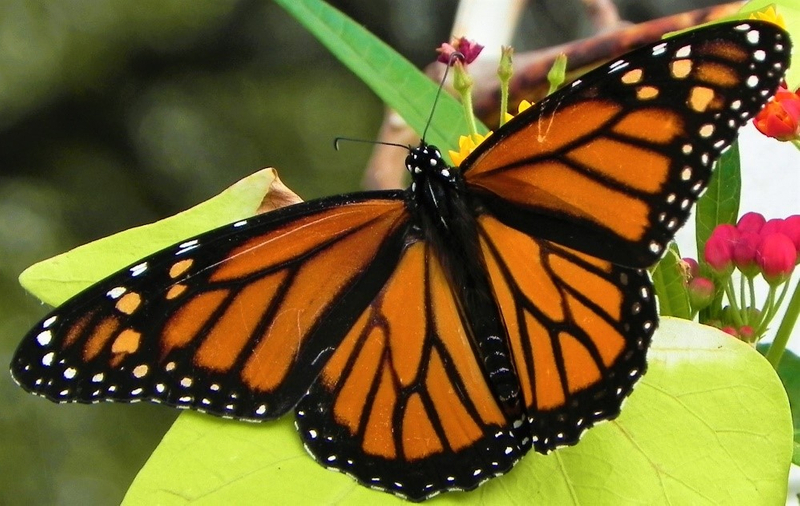 Monarch Watch is a non-profit education, conservation, and research organization founded in 1992. It is based at the University of Kansas where skilled wildlife biologists and other researchers study monarch biology, its habitat and migration patterns. The Monarch Waystation program was designed to mitigate habitat loss by establishing "monarch waystations". These are places that provide habitat suitable to the nutritional and reproductive requirements of monarch butterflies. Participants plant nectar and host plants in gardens, schools, businesses, parks, nature centers, and other unused plots of land. The plant list includes a variety of native milkweeds and other nectar producing, flowering plants. A waystation seed kit is sent to each participant to alleviate the plant selection process and ensure appropriate monarch habitat. Sites are registered and certified with the Monarch Waystation program and become part of a vital network of conservation minded communities. Westcave Preserve has been a proud participant with Monarch Waystation since December 2015. In addition to providing habitat for this species, the waystation serves as an educational outreach opportunity for preserve visitors. Staff, interns, and volunteers are working on future plans to expand the monarch waystation area. Update: Here's the latest on the butterfly garden expansion. For more information, visit the Monarch Watch website.